Good health is a combination of optimum physical state, emotional well-being and joy. Through accurate communication and applied kinesiology, we are confident that we can h﻿elp you achieve optimum health. Healing is different from, and so much more than eliminating or suppressing symptoms. In fact, healing is a path that can be embraced. It is a process quite foreign to our medical system and to our culture. It is essentially a reversal of the process involved in becoming ill, and at the same time an awakening to one's true nature and the meaning of life. Western medical science has pursued a path of fragmentation, separating mind from body, thought from emotion, and organ from organ. This has produced many marvelous technologies for symptom removal. But it does not produce healing. Healing involves re-integrating or re-membering (bringing the members back together). Psychosomatic means mind (psyche) and body (soma). A psychosomatic disorder is a disease which involves both mind and body. Some physical diseases are thought to be particularly prone to be made worse by mental factors such as stress and anxiety. Your current mental state can affect how bad a physical disease is at any given time. For example, psoriasis, eczema, stomach ulcers, high blood pressure and heart disease - it is thought that the actual physical part of the illness (the extent of a rash, the level of the blood pressure, etc) can be affected by mental factors. Once Blocked Qi's are released, the body knows how to heal itself, it carries a perfect blueprint and if we take out that which causes it to malfunction then it can start to function naturally again. Albert Einstein discovered in the 1920's that everything (including our bodies) is composed of energy. The Chinese knew it long before Einstein with the first record of energy medicine (acupuncture) being found in the 4,700 year old Huang Di Nei Jing (Yellow Emperor's Classic of Internal Medicine). This is the oldest medical textbook in the world, claimed to have been written down from Shen Nung's earlier theories, the father of Chinese Medicine. Shen Nung theorized that the body had an energy force running throughout it. This circulating Qi-energy force is the vital energy force inherent in all essential life activities including the spiritual, emotional, mental and physical aspects of life. If you have a cut in your arm, with blood oozing from the wound, would you tell yourself, "there is nothing wrong with me, this pain does not exist and I don't want to look at it"? You would not resist healing physically would you? Then why is it that if you have a persistent anger, you ignore it and hope that the anger will go away? If you are to receive healing the first thing is to be open to identifying the energy block(s). Most of us are driven by our emotions. These include fear, longing, physical desires, anger, resentment, guilt and others. These are considered normal emotions and are even encouraged by some psychologists. Emotions create energy force. Joy is an energy as much as Sorrow is a force. There are many methods to help in controlling our emotions by balancing the ups and downs. These range from traditional psychotherapy, meditation and many drug-based solutions. These help to an extent because our brain is a chemical organ. Energy healing should also involve being aware of negative environments. This is the most difficult and the most important step, which is letting go of all that is not conducive to a positive emotional environment - a change in relationships, family environment, work culture and/or location. Not taking action to remove yourself from damaging and negative situations will block healing. All our organs and cells have energetic frequency. When we go through a traumatic event we may experience negative emotions and negative thoughts, which can distort our organs and cells wherever they get trapped in our bodies. Negative energies in a certain organ or cells will eventually lead of physical pains, allergies, disorders or diseases. Are you sabotaging your own success? You are next in line for that promotion, but somehow, right at the eleventh hour, you did something stupid or have an argument with your boss or client, and you end up losing that promotion? Have you seen anyone who would join a group of family members enjoying themselves and suddenly this person will somehow kill all the joy out of the whole group? Even cause the members to hate each other somehow? Your children avoid you, and you can't seem to get close to them...why? Do you go through commitment issues or a cycle of broken relationships, and no matter how nice you are or how generous, no one seems to "stick" to you? You may not be aware of it but you have built a wall, an invisible Energy Cage, that is doing the very thing that a cage is designed to do - keep you from getting close to others in case they hurt you (again). This Energy Cage wants to protect you from past hurts, and each time you meet a new friend it is like the Great Wall of China, it keeps the "ENEMY" out from entering your personal space, keeping you "SAFE". Energy Cage: Why am I sabotaging my career success? My objective is not so much to remove your pain or disease for you, but to empower YOU to heal yourself naturally. Our God-given body and mind are so magnificent and powerful that we can rebuild broken bones, kill cancerous cells and endure the most excruciating labour pains to give birth to new life. In this modern and scientific world, we have, to our own detriment, passed our responsibility for our own wellness to doctors, surgeons and pharmacists. We fail to utilize the greatest power in our own body and mind which is the power to heal ourself and others. 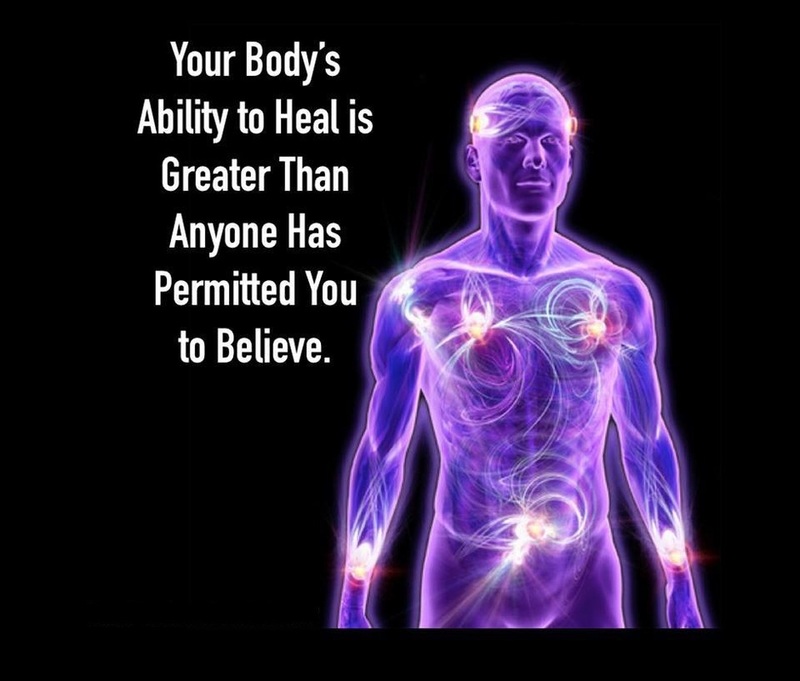 Healing is power! Doctors, therapists, ministers and counsellors facilitate the healing process, but do not make the healing happen. The desire for healing is a motivating force for good health and it is your desire to be healed that will create wellness. Obsessive Compulsive Disorder or OCD: it is my belief that Obsessive Compulsive Disorder (OCD) often involves emotional pains that were never fully healed. This is especially true with people who have love unreceived and are trying to "work" for love through perfectionism. How can I release emotional traps? During our healing session, we use applied kinesiology (AK) to identify and remove the blockages in your body. We may use our hands or magnet to release the emotional blocks. There are no needles, medication or any invasive surgeries. Each session lasts approximately an hour. "Like the oriental medicine traditions to which it traces, the theoretical core of energy psychology is simply this: Whatever the presenting problem, it has a counterpart in the client's energy system and can be treated at that [energy] level... When your energy is balanced and runs clear, your emotional distress disappears”.